Where's My Utah State Refund? - Utah State Refund. 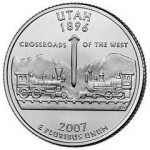 Track your 2014 Utah State Tax Return. Utah's Taxpayer Access Point help.